The 2018 edition contains improved guidance reflecting evolving user interests and accumulated practical experience. It includes new material dedicated to supporting the measurement of innovation outside the business sector, understanding the internal and external drivers of business innovation as well as a firm’s most important innovation, and facilitating better use of innovation data for statistics and analysis. Find out more about the manual and what's new in the 2018 edition (pdf). As a statistical manual, the electronic version of the Oslo Manual is freely accessible to browse and download either via the table of contents above or on OECD iLibrary. Print copies can be ordered from our official distributor. The Oslo Manual is the basis upon which the OECD and other international organisations collect and publish statistics on business innovation. The NEPAD (New Partnership for Africa’s Development) for the African Union is also active in promoting the use of comparable indicators in Africa. A community space exists for OECD Working Party of National Experts on Science and Technology Indicators (NESTI) delegates and compilers of innovation statistics to discuss manual implementation experiences and to seek advice and support from peers, the OECD and other partnering international organisations. To request access, please write to innostats@oecd.org. The Oslo Manual is based on the experience gained from collecting and analysing innovation data in both OECD and EU countries and and non-member economies. The 2018 edition is the result of the collective work of NESTI, involving more than 120 experts from nearly 40 countries and international organisations. The revision took place over two and a half years and was supported by an open online consultation and discussions with various other OECD committees. The manual has been endorsed by the OECD Committee for Scientific and Technological Policy (CSTP) and the OECD Committee for Statistics and Statistical Policy (CSSP). 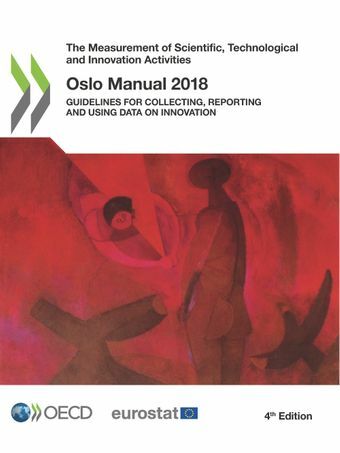 The manual owes its name to Norway’s capital city where in the early 1990s the OECD Working Party of National Experts on Science and Technology Indicators (NESTI) first agreed on a common approach to measure and report statistics on innovation. The manual has been revised on three occasions to address new challenges and take into account emerging user interests. Earlier editions were published in 1992, 1997 and 2005.